Aug 5, 2013 - 05:17 pm .- The spiritual meaning of the Way of St. James pilgrimage must not be reduced to a mere touristic and ecological route, said a Spanish agency charged with promoting the Church's cultural heritage. 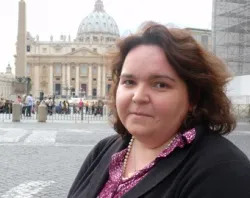 Aug 5, 2013 - 05:09 pm .- Catholics should see the secular media as an opportunity to evangelize and more effectively reach “people who need heroes and need the Gospel,” said the head of a Catholic communications organization. 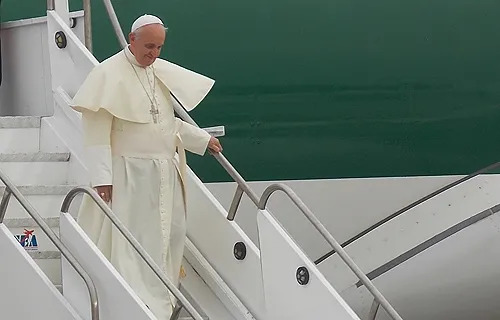 Aug 5, 2013 - 04:31 pm .- Amid a flurry of media reaction, the Vatican has released a full transcript of the remarks Pope Francis made to journalists while on a flight back to Rome from Rio de Janeiro's World Youth Day. Aug 5, 2013 - 02:30 pm .- The winning photos of the contest “Life…in HD,” which is being organized by the Pontifical Council for the Family, will be projected for Pope Francis this October in Rome. Aug 5, 2013 - 07:54 am .- After a vacancy of nearly one year, the U.S. Senate approved the former head of Catholic Relief Services, Ken Hackett, to serve as the country’s new Ambassador to the Holy See.